The guy in the picture above was named Giovanni Battista Enrico Antonio Maria Montini, he had an alias which was “Pope Paul V1,” he was also known by his correct names which were, Antichrist and The son of Perdition, among other things! Apparently the Vatican has started to make him “a saint.” It is claimed he did at least one “miracle” during lifetime. His greatest miracle is not so well-known, a friend has just written to me about it. It goes as follows; In 1946 in the full view of the Allied authorities, Montini took 10 truck loads of looted Holocaust gold and valuables into the Vatican and made it completely VANISH! My friend has been interviewing Dr Jonathan Levy who has been representing Holocaust victims over a protracted period of time. 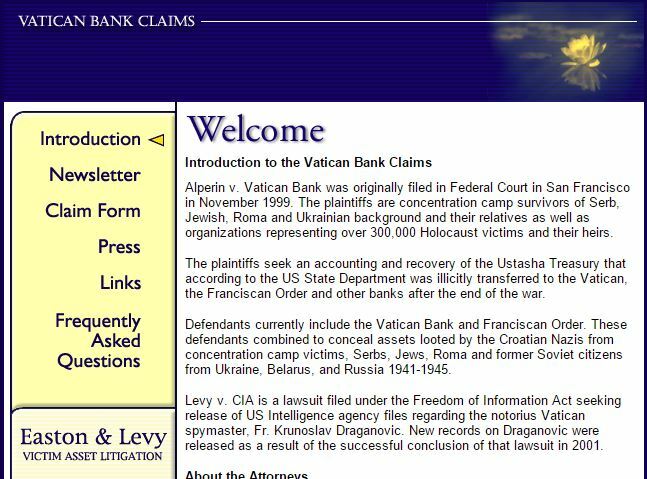 The victims have taken a legal case against the Vatican seeking restitution for the looted valuables. Over the period of time Levy has been pursuing this case he has come across many astounding facts and evidence. He located a former American CIC Special Agent who has given written and personal court testimony to some of the criminality he witnessed. His name is William EW Gowan and you can read his evidence at these links. 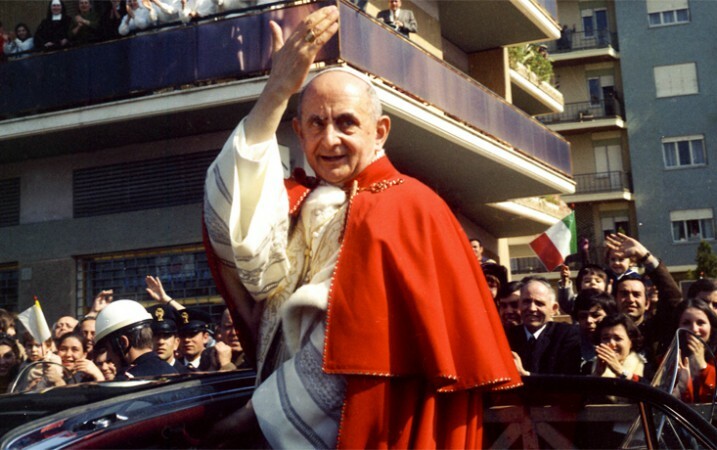 Montini was the man in charge of the Vatican State Secretariat when all this international criminality was taking place. Not only did Montini possess the miraculous ability to make convoys of stolen loot disappear without trace, he also had the uncanny ability to make “War Criminals” disappear as well! Montini was the man in charge of the notorious “Rat Lines” which enables Nazis and others to escape and re-invent themselves. This is how Dr. Jonathan Levy sums up the Vatican and it`s spurious “miracles!!! One of the many videos about the Vatican rats and their rat lines. Revelation 18:3 For all nations have drunk of the wine of the wrath of her fornication, and the kings of the earth have committed fornication with her, and the merchants of the earth are waxed rich through the abundance of her delicacies.